Lack of the arch in the foot is a pronation deviation that occurs for one in four individuals in the United States. The study has shown that more than 30% of people in the U. S. have such pronation problem, commonly known, as flat feet. A small percentage of the population suffers from hereditary flat feet, but most of it is developed as a result of mistreating the foot. Flat feet means that the bottom of the foot is in complete contact with the ground. This pronation deviation is caused by weakening the leg muscles because of injury or wearing inappropriate or unsupportive footwear (of course, if it isn’t a genetic peculiarity). So can flat feet be corrected? Of course, it can be! Even if you have flat feet, don’t let that bother you as you can cure flat feet and its negative consequences on your ability to walk, run and engage in different sporting activities with foot stretching and special corrective exercises. Here are 5 exercises to correct flat feet and say goodbye to foot pain forever. But, in addition, don`t forget to wear the right shoes for flat feet to support the arch and protect your feet from the increased injury risk. See top cross training shoes for flat feet reviews in 2018 and find your perfect footwear on TheCrossfitShoes. 1. Heel Separation. Such exercise as heel separation helps you strengthen several of the lower leg muscles that provide support to the arch. So it shows you how to strengthen flat feet and stretch the foot spending just five minutes a day. This exercise can be performed in different variations, for example, you may do it sitting or standing, it doesn’t really matter. Well sitting down on a chair or standing up with hands placed on the wall for balance. Put your feet together and start to raise your heels while keeping your toes touching the floor. Do this exercise slowly – back and forth. Complete two sets of 15 repetitions for each foot. 2. Ball Roll Exercise. One of the best and most effective exercises for flat feet is the ball roll exercise. It helps to stretch the area where your arch should be. For this exercise you need a small ball, it can be a tennis ball. Hold on to something to balance the body weight. Put your right heel on the small ball while touching your toes on the floor. After several minutes of performing this (don’t forget to breathe in and out), roll the ball towards the toes trying to make your heel contact the floor. Then shift the ball to the left foot. Complete this exercise for 1 minute at a time on each foot. Complete one set of 5 repetitions. 3. 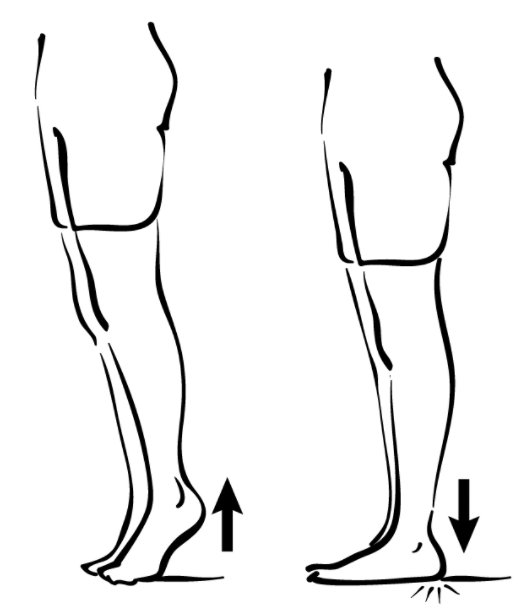 Short Foot Exercise. To strengthen your arches you should certainly try this excellent exercise. It focuses on the small muscles that support the arch on the underside of your foot. Its essence lies in sliding the forefoot along the floor towards the heel. Thus, you shorten the distance between the ball of the foot and the heel. But while doing it, don’t let your toes separate the floor. If you perform this exercise correctly, your foot and heel remain in contact with the floor, you raise just your arch. Hold the position for 5 to 10 seconds. Complete one set of 10 repetitions for each foot. 4. Standing Stretch. 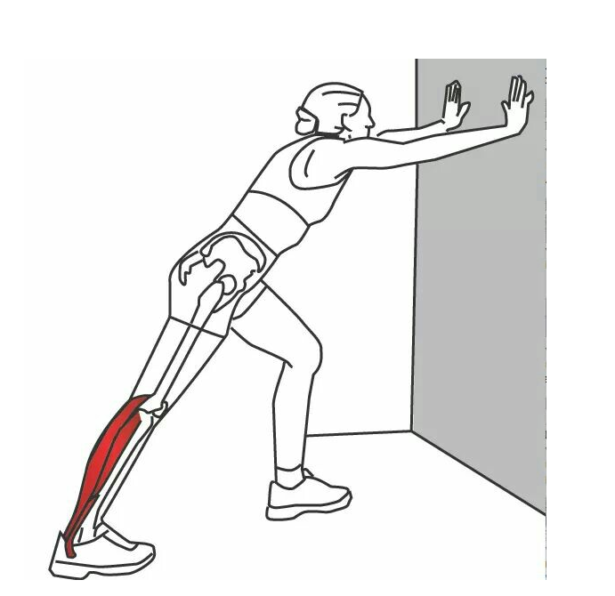 If you want to prevent the collapse of the arch and your control foot pronation, you have to stretch the calf muscles. Stand up looking at a wall and step the leg to be stretched behind you. Your toes should be pointed straight forward. Keep the knee of the back leg straight and lunge forward onto your front leg until a stretch is felt in the calf muscles of the back leg. Hold this position 30 seconds. Complete this exercise one set of 10 repetitions. 5. Toe Gymnastics. Don’t underestimate the muscles that control your toes. They also can affect your pronation deviation and it will be better to use them for improving it. Let’s start… Press the big toe down while lifting the other four toes up. Hold the fixed position for 5 seconds. Then press the four toes down while raising your big toe up. Hold for 5 seconds again. Complete 2 sets of 10 repetitions. These useful foot exercises can really help you to correct your flat feet and forget about foot pain and discomfort. Performing them regularly can improve the ligaments and strengthen every part of your foot. thank you very much its really use full for me. i have a 21 years old and my foot are flat . this exercise can be help me?